The National Weather Service Fort Worth Office’s Climate Prediction Center projects that the El Niño conditions will continue into the spring. What is El Niño? It is a weather pattern which begins in the Pacific Ocean and results in changing wind patterns and water temperatures. These weather patterns don’t just stay in that area, but move to other places, and affect the weather in the United States. Climate experts say the current El Niño pattern is one of the largest ever observed, and El Niño is expected to get stronger in the coming months. What will the impact be for the Brazos Basin? The Pacific Jet Stream is expected to bring wetter conditions than usual to North and Central Texas, along with cooler winter temperatures. Interestingly, the NWS reports that outbreaks of extreme cold weather are actually less likely during strong El Niño winters, with fewer days of freezing temperatures. So while the weather may be cooler, extremes are less likely. It is the increased cloud cover and precipitation that should result in lower than usual daytime high temperatures. Texas experienced a wetter than usual spring this year, but the heat and dry weather of July and August allowed the drought conditions to return to the Brazos basin and other parts of the state. If El Niño brings significant rainfall, as expected, it will end the ongoing “flash drought.” A flash drought is one that develops quickly but does not last long. Also, because the wetter weather is expected through much of the 2016 spring, that could prevent or delay drought conditions from returning later next year. Flooding is always a concern, and can occur even during periods of drought, the NWS reports. During a prolonged wet period, however, the likelihood of flooding greatly increases because of saturated soil. This past spring, the rainfall filled depleted reservoirs. This fall and winter, with most reservoirs remaining close to full, “the runoff from heavy multiple rain events would likely surge lake levels back into their flood pools,” the NWS warns. Since data has been collected on El Niño patterns, there are El Niño events that can be classified as strong, and only two of these (1991-92 and 1997-98) were extraordinarily wet. However, those two seasons did not have much freezing precipitation. Two years that did have more freezing precipitation than normal were the 1965-66 and 1972-73 seasons, which interestingly, did not have higher precipitation levels overall. State climatologist John Nielsen-Gammon said that we can’t predict with certainly what this El Niño season will bring, but we can be pretty sure of some wet weather. “Most El Niño events produce above normal rain across Texas, especially from late fall to early spring,” he said. “But the two strongest El Niño events in history were associated with near-normal to slightly below-normal rainfall in Texas. It may be that there’s a sweet spot for El Niño and Texas rainfall, and the strongest El Niño events overshoot the mark. The fourth-strongest El Niño (since 1895) was the 1991-1992 El Niño that helped produce extensive flooding along the Brazos River in December 1991. About the only thing that seems possible to rule out at this stage is the possibility of being substantially drier than normal over the next nine months,” Nielsen-Gammon said. How certain is the impact of an El Niño pattern? “In some places the effect is more reliable than others,” Nielsen-Gammon said. 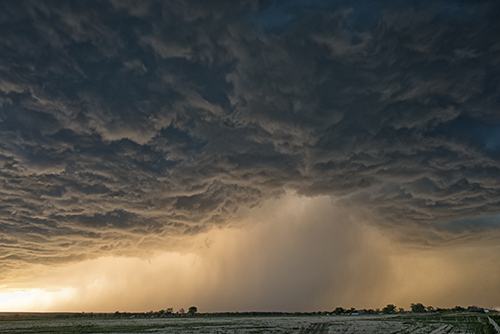 “In Texas the effect is especially reliable, but even so, it only accounts for about a third of the year-to-year weather variations we experience. Since 1950, Texas as a whole has never had a November through March significantly drier than normal during an El Niño. Despite a hot and dry summer that lingered into early fall, the unusually rainy spring resulted in full reservoirs in the Brazos basin. While reservoir levels have declined some as a result of the recent hot, dry conditions, they are still “in pretty good shape,” said Brad Brunett, water services manager for the BRA. If El Niño brings heavy rains, what will that mean for the basin? “If we experience higher than normal rainfalls, there’s a good chance we’ll have to pass more flood water through BRA reservoirs, and the (US Army Corps of Engineers) reservoirs may be up in the flood pools again,” Brunett said.